The approaching long weekend is a chance to pay our respects to our fallen men and women; those that fought so bravely and in the true spirit of the ANZACs so that we can all live in freedom. It is also an opportunity to celebrate, catch up with friends and family, and recharge the batteries. 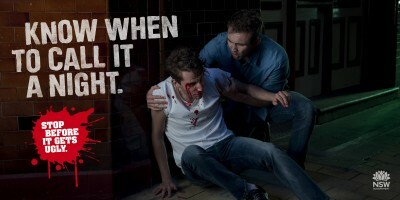 Whatever you decide to do this long weekend, remember to take care of each other, plan ahead and get home safely. The Sutherland Shire offers the chance to explore local community activities, relax by the water, visit local food and entertainment venues; the options really are endless. Depart Miranda RSL Memorial Club, Kingsway at 5.30am for a 5.40am Dawn Service at Miranda cenotaph, Seymour Shaw Park, Central Road. Former and current service personnel march, depart from corner Kingsway and Denman Avenue at 4.20am for 4.30am Dawn Service at Memorial Park, corner Kingsway and Port Hacking Road South. The march departs from Cronulla RSL Club, Gerrale Street at 5.15am for the 5.30am dawn service at Munro Park. Have a great time but get home safely. For dining, drinks and entertainment across the ANZAC Day long weekend, check with individual venues as opening hours and surcharges may apply. There’s never a need to drink and drive; organise a designated driver, make use of the Shire Shuttle Bus or numerous shuttle buses operated by local pubs and clubs or make your way to the secure taxi rank and the northern end of the Cronulla Mall. And if the pub, club or restaurant says you’ve had enough – respect it. We’re dedicated to ensuring the responsible service of alcohol. We all want to have a fantastic long weekend but we also all want to get home safely – patrons, staff, licensees, taxi drivers, emergency service workers. Together we can pay our respects and also have a safe, fun time. Enjoy your long weekend. Lest we forget. The Miranda Liquor & Gaming Accord includes members from our local area police command, council and operators of many pubs, clubs, bottle shops and restaurants in the eastern area of the Sutherland Shire. From Gymea (Sylvania Road) to Cronulla, our accord includes the suburbs of Caringbah, Kurnell, Miranda and Woolooware. Our aim is simple, to keep your community safe. Safe from alcohol related offences in and around licensed premises and where we can, prevent these problems from occurring in the first place. Our accord is run by locals, for locals. We focus on what is important to keep our community safe, vibrant and buzzing for you to enjoy. Image courtesy of The Leader.